Readers of all ages and diverse walks of life can turn to the pages in REMINDERS OF HOME to find enlightening thoughts that will help them remember with comforting surprise "Yes, that's who I am." Memory refreshed, the reader approaches daily life with the uplifting force of their own spirituality. All these 'reminders' provide a sense of comfort—the feeling that each person is organized, and unconsciously, empowers each person to be more confident and optimistic in all activities of daily life. Full of unique inspiration and deep comfort, REMINDERS OF HOME is a perfect gift or daily mediation title. 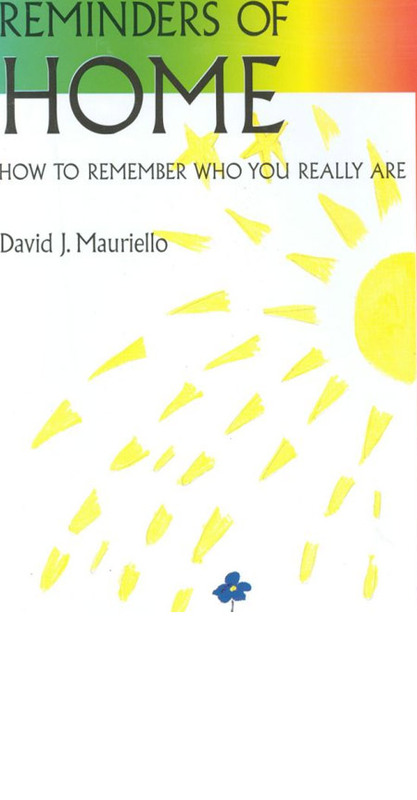 Contact David Mauriello at djmrllo@aol.com for purchasing information.